Congenital Defect in the Pericardium. 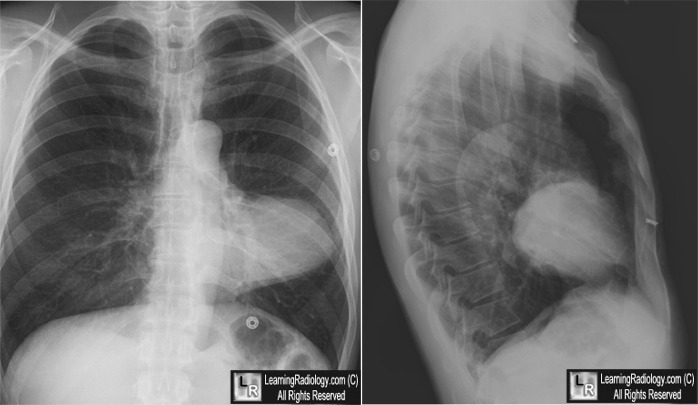 Frontal and lateral chest radiographs demonstrate an unusually-shaped (yellow arrow) levopositioned (green arrow) heart. The heart is displaced upward from the left hemidiaphragm (white arrow) and there is a clear space between the sternum and the heart (blue arrow) on the lateral image.